What is a Peristaltic Pump? A peristaltic pump is a self-priming pump that achieves pumping action by moving a system of rollers against a flexible tube. The pumped fluids are never exposed to the air or to the mechanical moving parts. The roller design prevents siphoning by providing a constant seal on the pumping tube. Aquasol chlorine injection pumps are a popular choice for swimming pool and spa professionals. 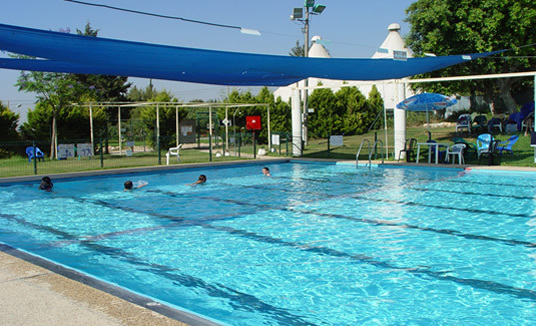 Commercial pools require minimum chlorine residual to maintain sanitary water. Maintaining the proper pH of the pool water increases the effectiveness of sanitizers and prevents premature wear of equipment and pool surfaces. Aquasol peristaltic pumps are generally used in conjunction with an Aquasol ORP/ph chemical controller to monitor water chemistry and automatically activate the chlorine and acid pumps to maintain proper water chemistry. Additionaly, Aquasol stocks the Econ T programmable metering pump for the treatment of water fountains or dosing of liquid pool covers. The Econ T Series pump provides automatic dosing with 7-day, 24 event control for a variety of time applications. View the Aquasol peristaltic pump line at a glance with the essential attributes summarized in the charts below. Click the line under each pump name to view the specific information on each.